Money is a major concern for most restaurateurs, both old and new. Everything from how to get an initial business loan to how to make a profit with a restaurant needs to be thought through if you are serious about opening a restaurant. 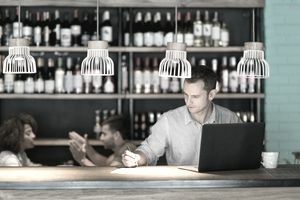 Once your restaurant is up and running, it is important that you know how to manage your finances, including how to deal with slow seasons and low cash flow. Another important aspect of managing a restaurant’s finances is knowing which pitfalls to avoid that will cost you a lot of money in the long run. For those thinking about opening a restaurant, the main concern is how to get the initial financing. With a notoriously high failure rate, the restaurant business isn’t an area that many bankers jump to finance. However, with a solid business plan, you can show the bank that you have thought this idea through and are prepared. Once you have procured a loan for your restaurant, you will need to spend every penny of it wisely. Weigh the pros and cons of leasing equipment, rather than buying new. Also, look at buying used equipment and furniture at restaurant wholesalers and auction houses. New is nice, but gently used goods will help you stretch your restaurant loan much farther. Once you have your restaurant open you need to keep it going by staying on top of your finances. Managing day to day expenses and tracking your inventory and sales with POS system are important components of running a restaurant. Simple mistakes in bookkeeping and purchasing can cost you thousands of dollars in the long run. Advertising is a necessity for any new restaurant. Traditional methods of advertising, such as TV, radio commercials and newspaper ads can be very expensive. If you are getting ready to open a new restaurant, or if you are looking for a way to promote your existing restaurant and don’t have a very big advertising budget, there are still several ways to promote your restaurant, even on a shoestring budget. Inevitably, problems will arise. The key to a successful restaurant is how you handle those problems. If you are running short on cash, you can take proactive steps, such as cutting back on food ordering or payroll. You can also speak with vendors about having an extension and buying food on credit. Some common mistakes small business owners make, such as not paying taxes or running up credit cards can ruin a business. The best solution for restaurant problems is trying to prevent them altogether. Being proactive is one of the best strategies for a successful restaurant. By tackling problems when they first arise, you will be in a better position to deal with creditors, if you find yourself short on cash.